My feet were still very warm and I developed a blister so a short rest to apply Compeed. 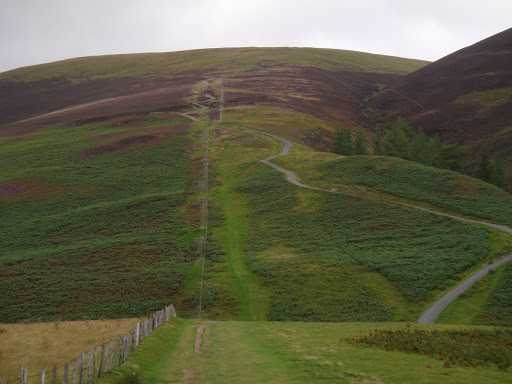 Then a final burst to get to the top, the views are magnificent and you really get the 360 degree feeling. It was bitterly cold in the wind so I stopped to join the only 2 other occupants of the wind break at midday, just over 2 hours to get there. One of these was a young teenager to whom I dispensed a further Compeed. Why can’t people learn to look after themselves, or perhaps his father could have taken some responsibility and carried a first aid kit? Rant over! I quickly ate my lunch of bean tortilla. Suddenly the whole place seemed to be overrun with people, I don’t really know where they all came from! Time to move off. 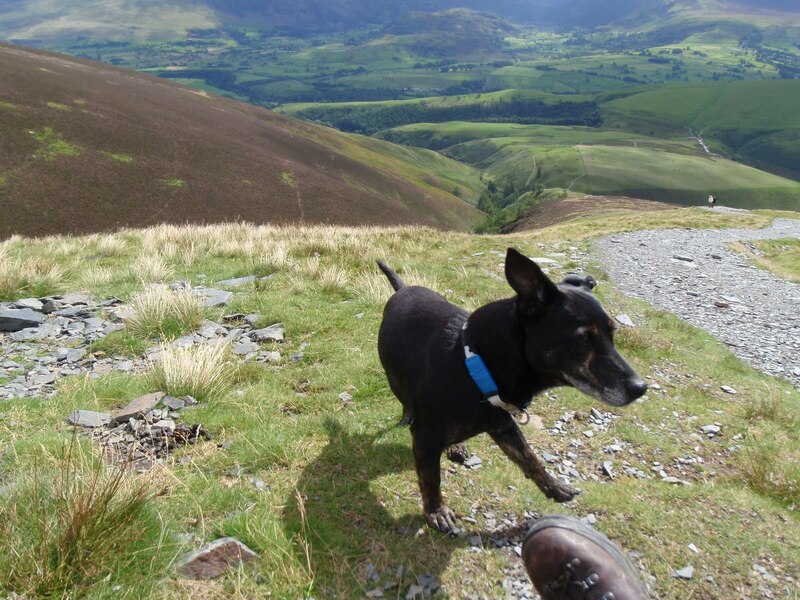 I set off for Skiddaw Little Man. 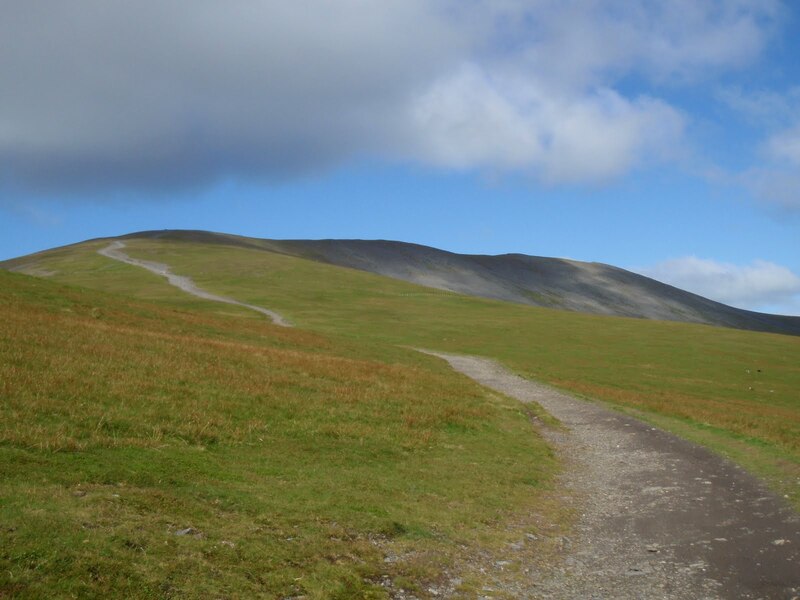 The main track was now full of tourist walkers mostly looking like they wished they were doing anything else. Some were clearly very cold and suffering. Going up was a woman in a low slung wheelchair being hauled up by 6 men by rope and pushed up by 2 men. They looked like they could have done with chest and/or waist harnesses to do this job rather than just a loop of rope which would cut into whichever shoulder it was on. I carried on up Little Man, AW recommends doing this on the way down so you don’t have to do so much climbing. Then it was down all the way and I was back at the car by 2.30. 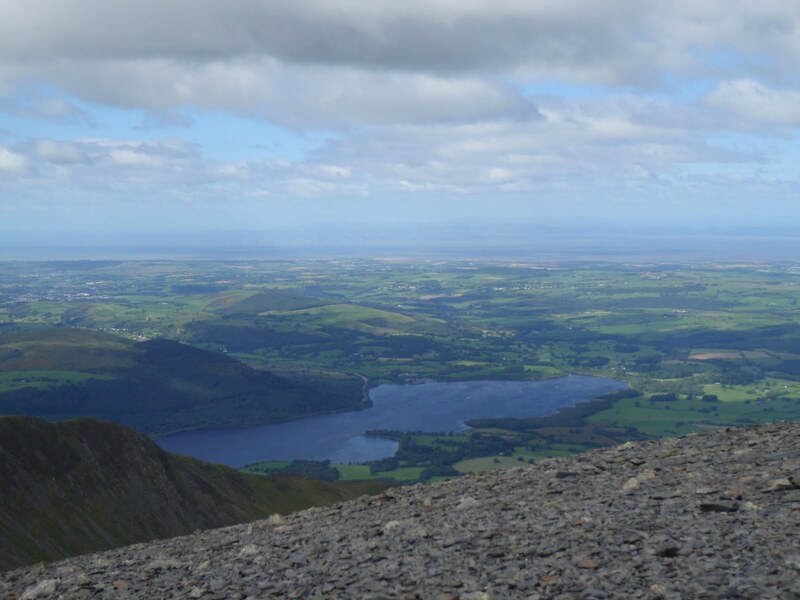 All in all I don’t think I’ll bother with Skiddaw again, the views are fab but it will always be windy and cold up there as there is no shelter from any land mass. 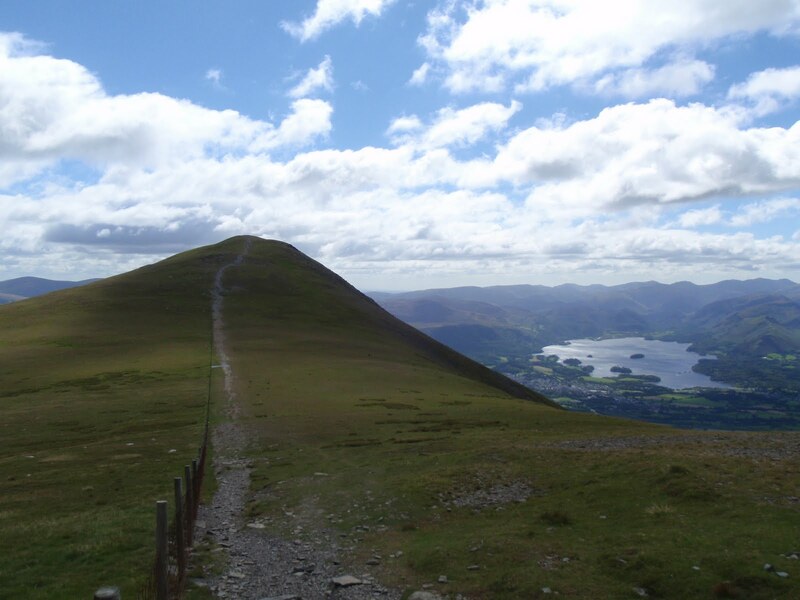 There are plenty of other big fells that aren’t so full of day trippers too.